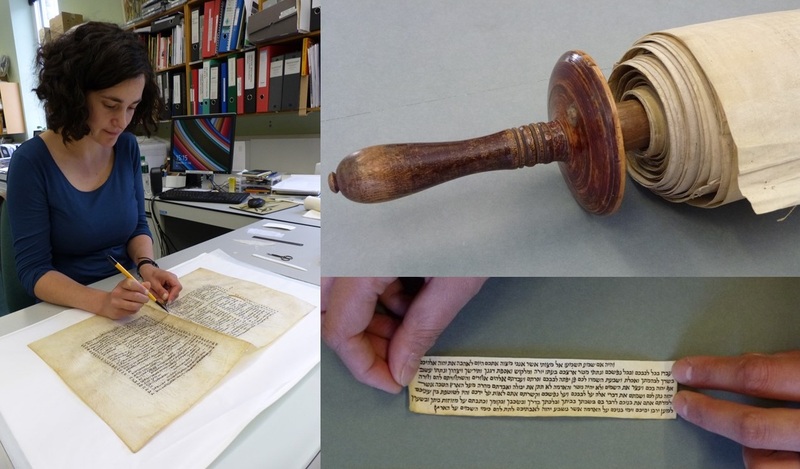 Book and Paper Conservator Julia Poirier conserving CBL Heb 752; a sefer Torah scroll; a Mezuza. Thanks to a generous grant from an anonymous donor, the Chester Beatty conservators are working on a one-year project to conserve the thirty-two manuscripts in the Hebrew Collection. These include Judaean and Samaritan manuscripts, dating from the twelfth to the twentieth century. They are of special significance, not only because they are culturally and historically important, but also because they are unique to the Chester Beatty collections. 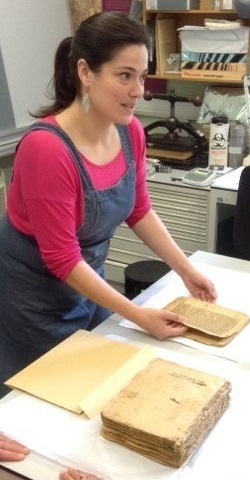 Senior Conservator Kristine Rose Beers handling Heb 761. The programme of conservation will ensure that these manuscripts can be handled safely and made accessible for teaching purposes, for scholarship and research, and for the enjoyment of the general public. In conjunction with their conservation, the Library is redesigning a section of its permanent Sacred Traditions gallery to accommodate an enhanced display of the manuscripts. The conservation team consisting of Kristine Rose Beers (Senior Book Conservator), Julia Poirier (Book conservator) and Puneeta Sharma (Conservation Intern), have been hard at work and will be posting a series of blogs explaining their work.